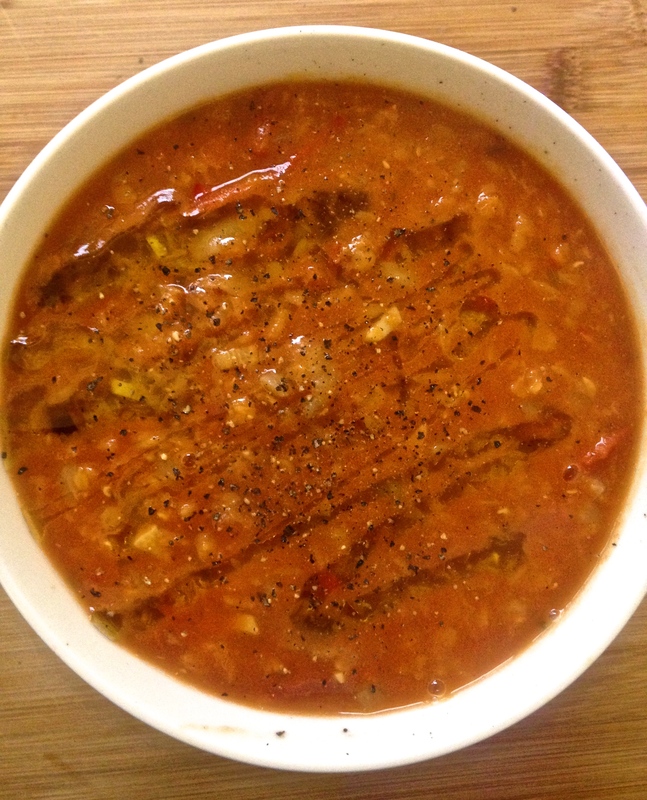 This soup is full of goodness and is great to keep portioned up in the freezer or fridge for lunches throughout a busy week. 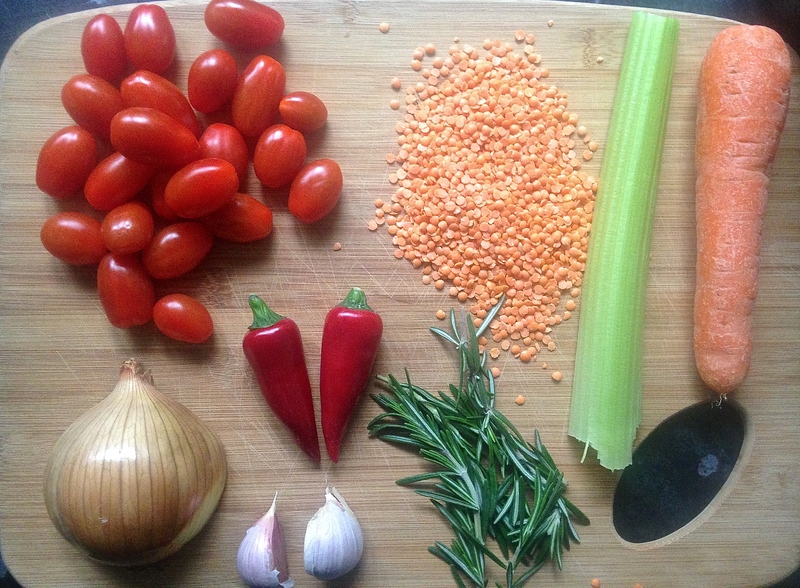 I haven’t blended this soup because I like the texture of the lentils and tomatoes, it feels so much more nutritious when you can taste all the components of a meal. Although I’ve used lots of fresh tomatoes, I find that adding a little bit of passata is helpful for a nice tomatoey colour and to loosen up the soup a bit. Finely chop the onion, garlic, celery, carrot, cumin and chillis and add to a large saucepan on a medium heat with 2 tablespoons of olive oil. Fry slowly for 15 minutes until the veg is soft. Add the lentils and stock and place a lid on the pan for about 20 minutes or until the lentils are soft. 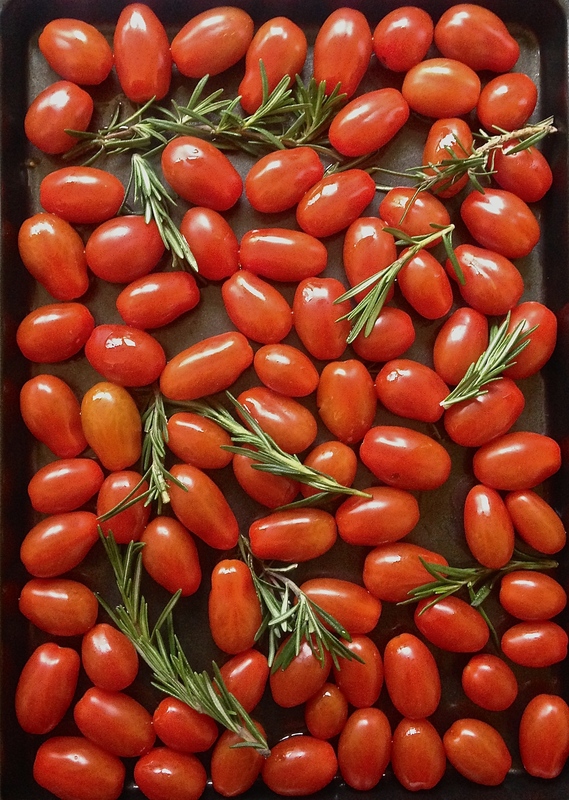 While the lentils are cooking, fill a baking tray with the whole tomatoes, rosemary, a pinch of salt and a drizzle of oil. Place in a 200 degree oven for 10 minutes until they look wrinkly and some of the juice has escaped. Squash with the back of a spoon to make a tomato paste and remove the rosemary sprigs. Add to the soup with the passata and cook together for 10 minutes. Season to taste. Serve with a drizzle of olive oil, black pepper and your favourite bread!